CLOSEOUTS. With its ultralight weight, horizontal tube design and long-lasting ripstop nylon construction, the ALPS Mountaineering Featherlite air pad is a trusty companion for overnight ventures in the backcountry. Available Colors: AMBER. CLOSEOUTS. 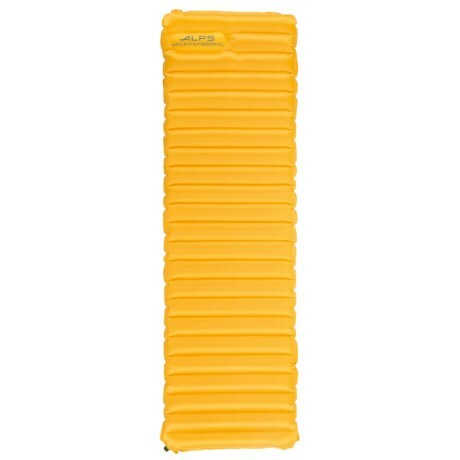 With its ultralight weight, horizontal tube design and long-lasting ripstop nylon construction, the ALPS Mountaineering Featherlite sleeping pad is a trusty companion for overnight ventures in the backcountry. Available Colors: AMBER.